A Self-Directed Roth IRA and a Roth 401(k) have some similarities. With both types of accounts, you make your contributions after you have paid the taxes on them. And, when you reach the age of 59 ½, you can take out your earnings without paying additional taxes. But aside from a few parallels, there are significant differences between the two. 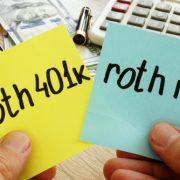 While you are allowed to have both a Self-Directed Roth IRA and a Roth 401(k) at the same time, your employer must offer a Roth 401(k) for you to participate. Whether it’s a Roth or traditional 401(k), the contribution limits are much higher than the IRA. In 2019, employees will be allowed to save up to $19,000 for the year. Workers over 50 may save up to $25,000. There are no income limits for the 401(k). Roth and Traditional IRA contributions are limited to $6,000 or the amount of earned income, whichever is less. Those over 50 may set aside $7,000. There are income limitations, however, on Self-Directed Roth IRA contributions for 2019. If your modified adjusted gross income is $203,000 or more for married couples filing jointly or $137,000 or more for single filers, you are not allowed to contribute. A Self-Directed Roth IRA account can continue forever, and there are no required minimum distributions as with Traditional IRAs. The Roth can also be passed along through generations, and it continues to accumulate free earnings for each generation. A Roth 401(k) is treated differently. Distributions from a Roth 401(k) account must begin by age 70 ½ or when the account holder retires, whichever comes later. If you want to continue getting tax-free savings, rolling over to a Self-Directed Roth IRA is an option to consider. Withdrawals from both the Self-Directed Roth IRA and the Roth 401(k) are tax-free as long as the accounts were held for at least five years, the distributions were made because of disability or death, or the account holder has reached the age of 59 ½. Also, with a Self-Directed Roth IRA, you are allowed to withdraw up to $10,000 to buy or build a first home, without paying taxes and the 10 percent early withdrawal penalty, even if you are under age 59½. In addition to having higher contribution limits than Self-Directed Roth IRAs, the Roth 401(k) has another distinct advantage: Your employer can match any contributions you make up to a certain percentage. It’s free money from your employer that’s on top of your elective deferrals. One caveat: Your employer’s match will be deposited into a traditional 401(k). Since you never receive the employer’s match, it cannot be completed on an after-tax basis. For that reason, the company match must be applied to a traditional 401(k). Employees generally have little or no control over the investment choices that an employer’s Roth 401(k) plan offers. And those options are minimal most of the time. 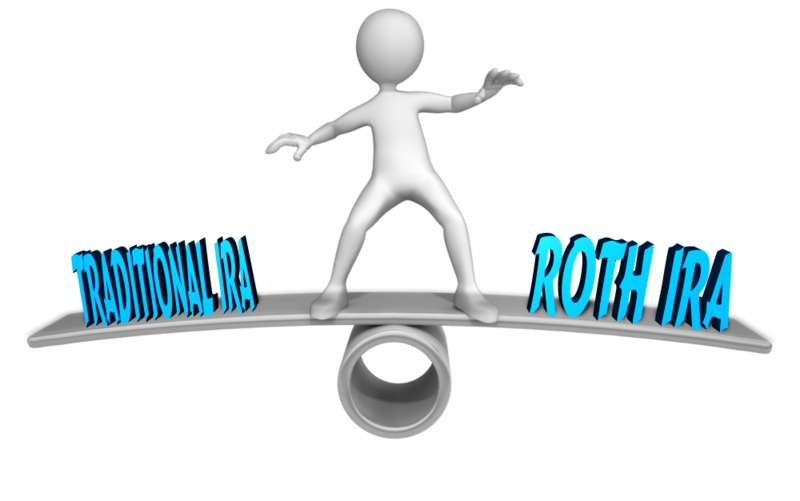 Those who hold a Self-Directed Roth IRA, on the other hand, will have greater control and more investment opportunities from which to choose. And when retirement savers open a Self-Directed Roth IRA, they give themselves a virtually unlimited selection that includes alternative assets such as real estate, precious metals, private stock, and private lending. Remember, even if you have a 401(k) plan through your employer, you may open and contribute to a Roth or traditional Self-Directed IRA. Interested in learning more about Self-Directed IRAs, download our free e-guide. 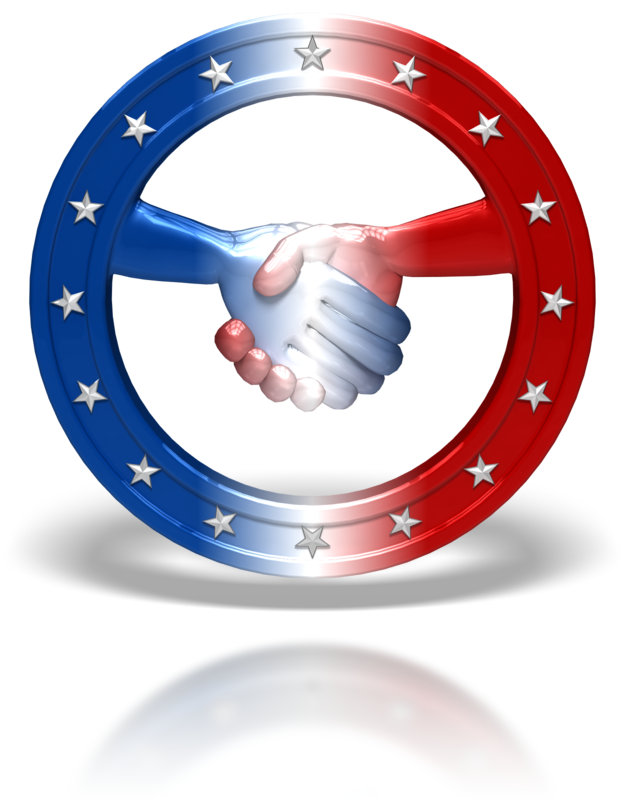 Contact American IRA, LLC at 866-7500-IRA (472) or visit us online at www.AmericanIRA.com. What Are the Benefits of a Self-Directed IRA in the Form of a Roth IRA? If you’ve heard the term “Roth IRA,” then you definitely aren’t the first. The Roth IRA has become one of the most popular ways to invest for retirement, and it’s constantly touted on the financial radio shows and advice columns as a great way to build a nest egg. But if you’re interested in a Self-Directed IRA, does that preclude you from using a Roth IRA? How does it all work? Some people, particularly new investors, hear a term like “Self-Directed IRA” and assume that it’s a completely different type of account. But really, a Roth IRA can be a self-directed account. This is vital to understand if you want to realize the benefits of the Roth IRA while also choosing your own financial destiny–you’d be surprised at how many people don’t realize that you can accomplish both things at once. The most obvious advantages to a Roth IRA are the tax benefits. Your investments within a Roth IRA can be exempt from income tax as long as the proper requirements are met–and the requirements aren’t quite as stingy as you might think. For example, in order for your Roth IRA tax benefits to kick in, you have to hold it for only five years (assuming you’re already 59 years or older, as these are retirement accounts we’re talking about). This means you can make an investment when you’re 60, you can then withdraw money from a Roth IRA without penalties at age 65. (If, however, you are still younger than 59 when those five years have passed, you’ll still have to wait until you reach retirement age). In a Self-Directed Roth IRA, you can continue making contributions even beyond the age of 70, which is an advantage if you’re taking advantage of this type of account at retirement age. These benefits don’t only help young people save more money that they can then use in retirement age after a long period has passed, but they help an older generation who will need access to their retirement money sooner rather than later. It’s important to understand that a Roth IRA is not a license to do whatever you want with investments. There are limits, for example, to the amount of contributions you can make to a Roth IRA every single year. There are also limits about when you can take out withdrawals, as mentioned here. Be sure to remember those limits in this kind of Self-Directed IRA, as you’ll find that knowing those limits helps you to best take advantage of your account in the way that optimizes your portfolio. If you want to learn about specific account types when using a Self-Directed IRA, be sure to keep reading AmericanIRA.com. You can also get in touch with us at 1-866-7500-IRA(472) to learn more. The Roth IRA, under current law, is a terrific deal – especially for younger investors: You put money in now on an after-tax basis. Your account grows tax-free for as long as you leave the money in there. There’s no income tax, no dividend tax and no capital gains tax on anything left in a Roth IRA for at least five years. And when you take the money out, distributions are tax-free. Furthermore, Roth IRAs, unlike tax-deferred traditional IRAs, 401(k)s and other tax-deferred investment or savings vehicles, are not subject to required minimum distributions in retirement. That’s great news for self-directed IRA owners who have large, illiquid and indivisible investments within their IRAs or other self-directed retirement accounts. The Roth IRA, in short, is a terrific home for assets you can hold until retirement age or longer. Here are some advantages – especially for younger investors. Your employer doesn’t control it. The IRA is a personal asset. You own and control your own IRA. Your employer cannot set limits on how you access or use the money. For example, some employers will restrict access to 401(k) funds for in-service workers. Some prohibit in-service withdrawals outright. You have to abide by the plan sponsor’s rules, and those may not be in your interest. You are using the money to pay medical insurance premiums or avoid getting foreclosed on or evicted. There are important advantages to heirs who inherit a Roth IRA as opposed to assets outside of an IRA. For example, your heirs can take advantage of a “stretch IRA” strategy, in which the IRA can continue to grow tax-free throughout the life expectancy of your heir, provided your heir continues to make required withdrawals. You aren’t committed. You can make a contribution this year and skip next year with no penalty. At the beginning of this article, we wrote that the Roth IRA is a great deal under current law. But the reality is that the tax benefits of tax-free growth and tax-free withdrawals are all in the future, while you will have already paid tax on dollars you contribute to an IRA this year. In effect, the government has pledged to pay you Tuesday for its hamburger today… but it has no obligation to do so. What the government giveth, the government can take away. It is possible that Congress will eliminate, limit or means-test the tax benefits of the Roth IRA in the future. However, this is speculation. Under current law, the Roth IRA is a great deal for anyone who wants the tax-free growth available under the Roth IRA banner, and who expects to be in a higher tax bracket when they retire than they are in, currently. Do you need some help choosing between a Roth IRA and a traditional IRA or other investment vehicle? Call American IRA, LLC at 866-7500-IRA (472). Or visit us at www.americanira.com. We are among America’s premier administrators of self-directed retirement accounts, and we’re looking forward to hearing from you. If you have a substantial balance in either a Roth or traditional IRA account, or even in something you can roll over to an IRA, such as a 401(k) balance from a former employer or a SEP or SIMPLE balance, you can quite easily take advantage of the unique and substantial advantages of the real estate asset class, combined with the advantages of the Roth IRA savings vehicle, by combining them into a Real Estate Roth IRA. Inflation protection: Unlike bond coupon payments, you can raise the rent each year, or whenever the lease expires, if the market will bear it. This is a crucial hedge against inflation, which otherwise eats away relentlessly at most other income-oriented investments. Downside protection. Paper assets like stocks and bonds can easily become worthless if the company fails. Houses and land almost never fall to zero. Opportunity for leverage. Lenders know that real estate enjoys substantial downside protection, and are for this reason generally much more willing to lend on real estate than they are for other asset classes. Few people can grasp the complexities of holding stock companies in any number of technology, biotech, communications or related industries. But almost anyone can understand how a house or condominium or apartment building works: You rent it out, maintain it, and sell it at a profit down the road if all goes well. Tax-free growth. As long as you leave the money to grow within your Roth IRA account for five years, all the growth in the account belongs to you. There is no federal tax due on that money. If it were a traditional IRA you’d have to pay income tax on any gains over your basis. But in a Roth IRA, your income tax on distribution is normally zero. Tax-free income. Residential and commercial real estate are designed to generate a reliable and substantial monthly income. If you hold the property in a taxable account, you must normally pay ordinary income tax on rent you receive, minus deductible expenses. If you hold the property in a traditional IRA, you must pay income tax on everything you take out of the IRA as a distribution. Only the Roth IRA (and the similar Roth 401(k) designated account) allow for totally tax-free distributions, provided the money you take out has been in the Roth for at least five years. No RMDs. Unlike tax-deferred retirement accounts like SEPs, SIMPLE IRAs and traditional IRAs, you don’t have to start taking taxable distributions shortly after the year in which you turn age 70½. This means you can let whatever you don’t need for living expenses keep compounding – for you or for a loved one, if you have a named beneficiary. Estate Tax Advantages. By paying income taxes up front instead of at withdrawal, you may lessen the amount of estate taxes you would have to pay. This is because the estate tax doesn’t care if you have a Roth or traditional IRA. The IRS will apply the tax to whatever happens to be in the account after your death and/or the death of a surviving spouse. Using a Roth rather than a traditional IRA may help you maximize the legacy you leave to your family. Want to know more? 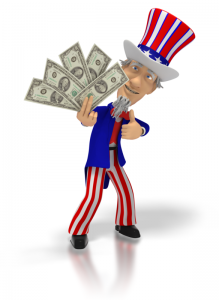 Call American IRA today at 866-7500-IRA(472), or visit us online at www.americanira.com. Our experienced team is among the national leaders at helping investors coast to coast with their self-directed real estate IRAs and Real Estate Roth IRAs. Imagine…taking income from a portfolio of real estate investments, tax-free. From a Self-Directed Roth portfolio that’s grown – tax free. Imagine doing the same from a portfolio of stocks, bonds, annuities, mutual funds, or nearly anything else you can imagine! Now imagine your heirs stretching those withdrawals over the course of a lifetime – also tax-free. Imagine not just passing on that gift to a child but a grandchild who may outlive you by 70 years or more. That’s generations of tax-free growth in a ‘stretch Roth IRA’ And it’s a powerful concept indeed. But some people make too much to make a Self-Directed Roth contribution. Currently, the IRS sets a maximum income threshold on contributing to a Roth IRA at 114,000 for singles or $181,000 for married couples filing joint returns for 2014 contributions. 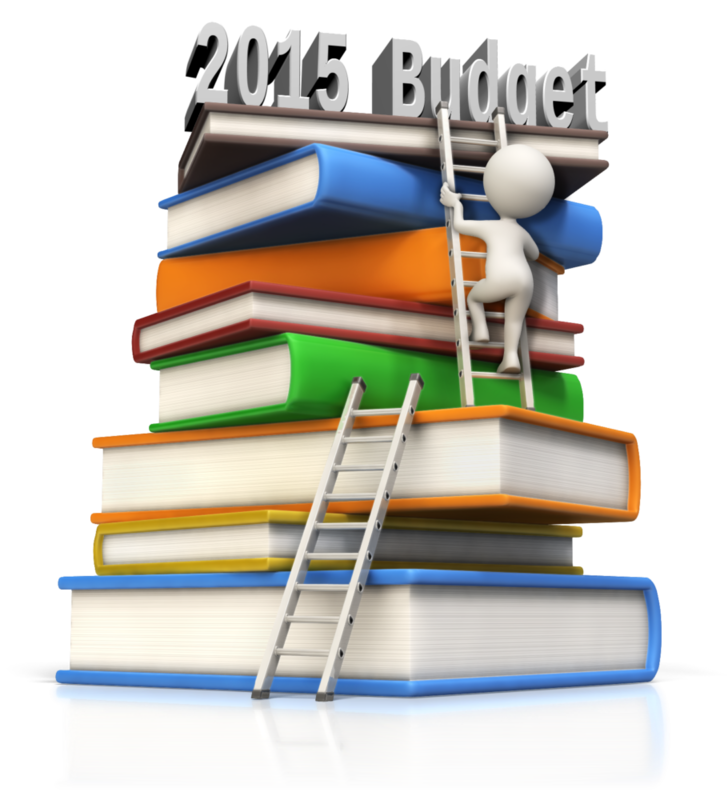 You have until April 15, 2015 to make your contribution for tax year 2014. If you made more than this amount in 2014, though, all is not lost. You are not permanently locked out of eligibility to take the Self-Directed Roth IRA option. Make your contribution into a traditional IRA. With your income, you’ll have to do it on a nondeductible basis. But you wouldn’t get a deduction with a Roth IRA going in directly, so it’s a wash.
See, in contrast to contributions of new money to Roth IRAs, the IRS sets no income limits on conversions. Congress removed the limits beginning with tax year 2010. You can execute a conversion at any income level. The IRS is happy to take your tax money this year, rather than potentially having to wait until you start taking RMDs. Generally, doing a conversion is as easy as filling out a few forms – and paying some tax you would have paid anyway. If you took a tax deduction for your traditional IRA in prior years, and you want to roll that account over, you will have to come up with some additional taxes. Essentially, you will pay income tax for any amount you convert on which you haven’t already paid taxes. If you want the benefits of the Self-Directed Roth IRA, though, it’s likely worth the cost – particularly if you can pay the tax with money outside of the IRA. You can pay taxes from within the converted IRA, too – but that lowers the amount of money that will be growing on a tax-advantaged basis. It still may be a good idea, but the most tax-efficient solution, long term, is to convert the full amount in the original traditional IRA, and then pay the taxes with money from outside the retirement account. You can do the same concept with self-directed IRAs, too. The only difference is if you have assets in a self-directed IRA that are highly illiquid, it could be difficult to pay the taxes from within your IRA even if you wanted to. In these cases it’s more important to have some liquidity outside the IRA, or in other accounts, that’s available to pay the tax bill. American IRA is a leading authority on Self-Directed IRAs and the rules that govern them. We work with independent-minded investors in all 50 states. If you have questions or would like to explore whether a self-directed IRA or conversion is right for you, call us today at 866-7500-IRA(472), or visit us online at www.americanira.com. With the recent resounding GOP victory in the mid-terms, the chances of the repeal of the essential promise of the Roth IRA – that future Congresses would respect the pledge that in return for foregoing the immediate tax deduction, investors would enjoy the tax-free growth of Roth IRAs seem a lot lower. President Obama is probably the most progressive President we have seen in generations, whose base is likely the most willing to tolerate or even endorse tax hikes on retirement account owners in generations – but the chances of any such policy making its way through the Republican-dominated Congress for the next two years appears vanishingly small. And it is unlikely a future president will be as progressive as this one for a while. So a big part of the downside risk of the Roth IRA – that Congress would break its promise to the American people and start taxing Roth distributions – seems to have largely evaporated for garden-variety IRAs. We still see some risk for inherited IRAs and “jumbo” Roth IRAs of over, say, $5 million in value, however. So this calls for a renewed consideration of the value of Roth IRAs and whether they deserve a place in your portfolio. Tax-free retirement income. This is valuable stuff for a couple of reasons. First, it’s, well, tax-free retirement income! But above and beyond that, it doesn’t affect Social Security income. Too much taxable ordinary income and half of you Social Security benefits become taxable. But as long as the money you’re living on isn’t ordinary income, it shouldn’t affect your Social Security tax. Mitigation of Legislative Risk. Yes, people have worried about the risk that future Congresses would start taxing Roth income for some time. Why? They were worried about legislative risk! But the very same dynamics that could have led Congresses to taxing Roth IRAs are the same dynamics that may lead future Congresses to increasing ordinary income tax rates in the future. That is, the Treasury needs cash, and income taxes are perceived as the most efficient and fairest way to raise it. The Roth IRA is a crucial tool in hedging against the possibility that the government will increase personal tax rates on ordinary income. No Required Minimum Distributions. This is a biggie – especially if you are relatively well off and may well not even need the money to live on. An inherited Roth IRA is one of the best ways to pass wealth on to future generations, although the old advantages of the “stretch” Roth IRA have vanished. Friendly to Self-Direction. If you like to steer investment assets into relatively long-term, illiquid investments, then having to worry about RMDs every year can be a little problematic. By eliminating RMDs, you are eliminating a major headache in retirement once you turn age 70½: Scraping up the cash from your illiquid investments in, say, raw land, tax liens, tax certificates, some rental real estate and the like can be a problem when you’re scrambling to meet your RMD deadline. Roths don’t have RMD deadlines! Mitigates Effects of Estate Taxes. Planning on dying wealthy? If you are sitting on a big traditional IRA, 401(k) or SEP balance, converting that money to a Roth IRA and paying taxes on that money will reduce the size of your taxable estate by whatever you pay in taxes. That increases the net amount you can pass on to your heirs. You can make contributions longer. Not ready to hang up your spurs at age 70½? If you’re a fan of this great George Jones song, you may want to reserve the right to keep making money and keep squirreling money away into an IRA for longer. Traditional IRA rules don’t allow you to keep contribution money to them after you turn 70½. But Roth rules do! All you need is earned income. Is a Self-Directed Roth IRA in your future? American IRA, LLC is America’s leading authority on Self-Directed IRAs as well as 401(k)s and other retirement accounts. Our offices are in Asheville and Charlotte, North Carolina, but we work with investors from all 50 states – especially with issues arising from self-directed accounts. 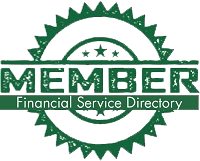 Visit us today at 866-7500-472(IRA) or download one or more of our exclusive guides to self-directed IRA investing at www.americanira.com. We look forward to hearing from you! Deciding whether one should convert assets from a traditional retirement account to a Self-Directed Roth IRA is an important task, and in order to make a reasonable and educated decision, many factors must be taken into consideration. Still it is well worth the consideration since the account will grow tax-free forever after it is converted to a Roth IRA. The following are only five of the many factors that should be taken into consideration. Many economists and tax professionals who have analyzed factors such as the historical changes in tax rates, the events that either cause or predict increases in tax rates, and the national debt, agree that significant increases in tax rates in future years is inevitable. Individuals who agree with these experts may feel that it is a smart tax move to convert to a Self-Directed Roth IRA now when tax rates are lower, rather than keeping assets in a Traditional IRA where they would be taxed at a higher rate when withdrawn later. One of the factors to consider when deciding about whether a Self-Directed Roth IRA makes good tax sense is whether you will have sufficient time to accrue enough tax-free earnings that would, at a minimum, offset the tax-related cost of converting amounts to a Roth IRA. Example: Assume that you convert $100,000 in pre-tax amounts from your Traditional IRA to your Roth IRA, and you owe income tax of $28,000 on the amount. This $28,000 will have to be taken from your retirement account or other sources, which means $28,000 that is no longer available for investing in your retirement nest egg. A Roth conversion analysis would take the number of years you have until retirement into consideration, so as to determine whether the tax-free earnings that could be accrued during that time is sufficient to make the conversion worthwhile. If you will be leaving your retirement savings to a charity, a Traditional IRA may be a better choice since the charity will not owe income tax on the amount. On the other hand, if your beneficiary is someone like your spouse or child, converting the amount to a Self-Directed Roth IRA could allow him or her to inherit the amount tax-free. Generally, you are required to pay the income due on a Roth conversion by your tax filing deadline. If you do not have the amount available in non-retirement saving accounts, then the income tax can be paid from the conversion amount. If you choose to pay the income tax from the conversion amount, only the net amount would be converted, which means the income tax amount would not be available for tax-free growth in the Roth IRA. Example: Assume you convert $100,000 and elect to have $20,000 withheld for federal income tax. Only $80,000 would be converted to your Roth IRA, with $20,000 remitted to the IRS as an income tax payment on your behalf. A Roth conversion analysis would help to make a reasonable determination of whether a conversion would make sense in such cases. A critical component of a Self-Directed Roth IRA conversion analysis is the rate of return on your investments. If your investment portfolio includes stocks, bonds, mutual funds and other investments that do not offer a guaranteed rate of return, then the rate of return is based on assumptions and speculations. On the other hand, if your conversion amount is invested in a product that provides a guaranteed rate of return (such as an annuity), you might get a more realistic determination of the comparison between converting and not converting to a Roth IRA. These are just a few of the many factors that should be taken into consideration, and what might apply to one person might not apply to another. As such, the Self-Directed Roth IRA conversion decision is often based on a customized Roth profile. Further, whether an outcome is considered favorable can be a matter of personal preference. It’s that time of year again…’Tax Time’! If the amount of taxes you have to pay on your real estate investments gives you a headache, we have a solution. Using your Self-Directed Roth IRA to hold your real estate investments allows your earnings to grow tax-free forever! The recent changes made to Roth IRA rules have removed funding restrictions, and now allow everyone to fund a Roth IRA, regardless of income and/or tax filing status. You are disabled, as defined by the IRS, when the distribution is made. $188,000 if your tax filing status is ‘Married filing jointly’. If your MAGI is between $178,000 and $188,000, you can contribute a percentage of the contribution limit provided above. $127,000 if your tax filing status is ‘Single’. If your MAGI is between $112,000 and $127,000, you can contribute a percentage of the contribution limit provided above. $10,000 if your tax filing status is ‘Married filing separately. If your MAGI is between $-0- and $10,000, you can contribute a percentage of the contribution limit provided above. In order to use this option, you must receive taxable compensation for the year, such as salary, commissions, and income from self employment. Conversions from Traditional, SEP and SIMPLE IRAs. If the account is a SIMPLE IRA, you must wait until it has been at least 2-years since it was first funded before initiating the conversion. Rollovers from pension, 401(k), 403(b) and governmental 457(b) plans, including Roth accounts under these plans. In order to rollover amounts from these plans to your Roth IRA, you must first meet the plan’s requirements for making withdrawals. We can help you to determine if you are eligible to make withdrawals from your accounts under these plans. Unlike making regular Roth IRA contributions, there is no MAGI limit or income requirement for conversions and rollovers to Roth IRAs. Any pre-tax balance in the account from which the assets are taken will be included in your taxable income for the year. In August of 2005, D avid G., one of our clients, opened a self-directed Roth IRA. He’d heard about self-directed IRAs through a seminar that I did. The reason he opened a self-directed Roth IRA is because he wanted an account that grows tax-free and allows for future distributions that are tax-free forever. 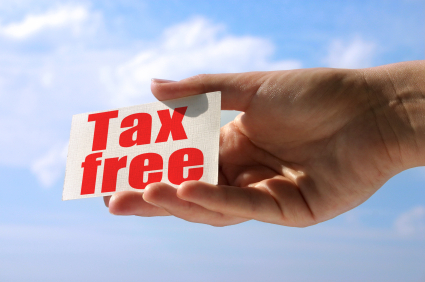 The one thing that you’ve got to understand about a Roth is that once it’s qualified, it’s tax-free forever. We have the same job as the securities industry, except we allow you to invest in different types of assets, as opposed to just securities. 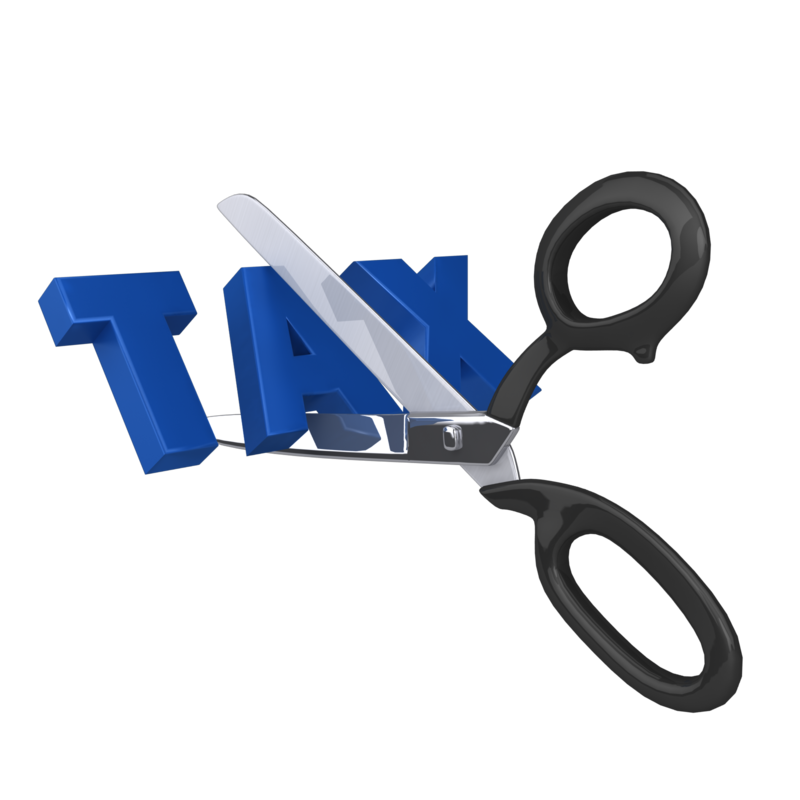 These are non-taxable transfers from two previously established Roth IRAs in the amount of $6,800; $3,800 and $3,000. That was his funding for the account. Yes, David G. began with only $6,800 and yet in 5 short years, he grew his self-directed Roth IRA to $293,000! Many people believe that they don’t have enough money to start a self-directed Roth IRA…David G.’s success is proof positive that great success can come even with a small account. This article covers his 1st deal! In January 2007, David G. found an oversized residential lot with water, sewer, a phenomenal view of the mountains, and a separate deed for each of its two separate parcels, for sale. It was listed for $18,900 and David knew the market value was $31,000. How does $6,800 turn into $18,900? David G. obtained the additional funds he needed by partnering with his wife’s Roth IRA. I know…you are thinking: “Hold on! His wife is a prohibited person!” You are absolutely correct; however, you can partner with prohibited people so long as you do so at the time of acquisition. If you don’t have a large account, you can still do a transaction by partnering with someone else. David G. had lost his confidence in Wall Street. Even though he didn’t have an investment picked out at the time, he opened his self-directed Roth IRA and he had confidence that he would find a worthwhile future investment to direct his retirement funds to. What you have to consider is that many times what we find is that the client says I’ll open an account when I find something. If you wait until you find something and you find a very good deal, there’s a timeframe to open these accounts. We can do it very quickly. However, getting the money from provider A to us does take time – anywhere from one to three weeks, and in some cases longer if they drag their feet. You’ve got to be prepared to make the investment, and tripping over a couple of pennies of perceived return may be interest that you may think you’re going to get or the stock market hoping it doesn’t go down before you make the move. If you enjoy real estate, you want the chance to use leverage within your IRA account to fund your retirement, and you are up for acting as a landlord, you should consider using a self-directed Roth IRA to own real estate. For a free consultation, please call us at 1-866-7500-IRA (472).